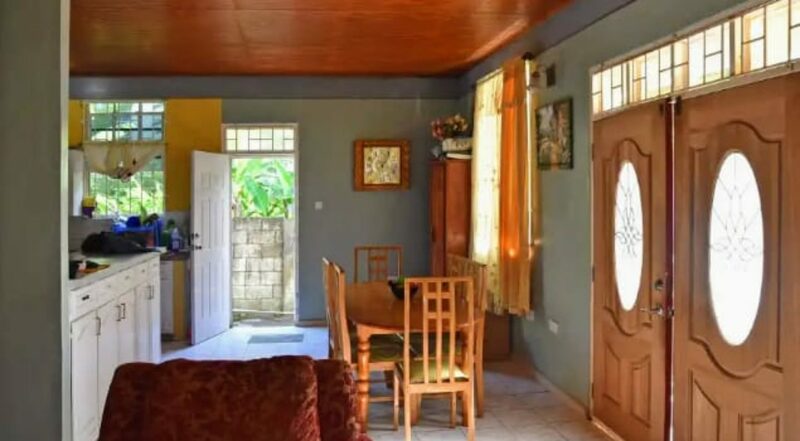 This modern, well-constructed beautiful home for sale in Copt Hall, Dominica in the Roseau Valley is bathed in quietness and nature. 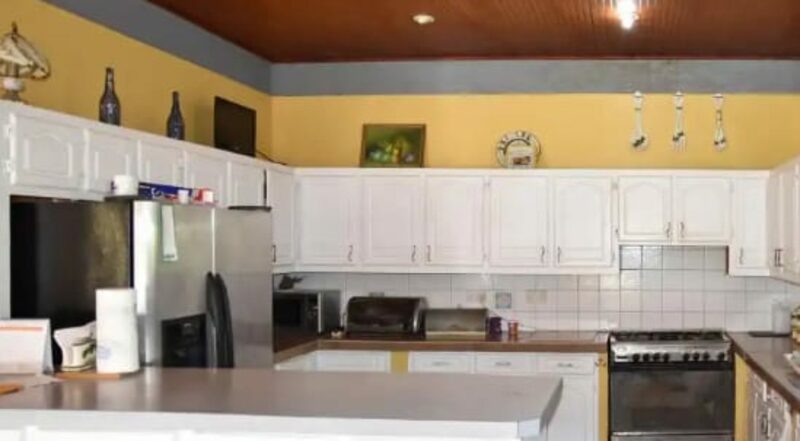 The home boasts four (4) well-appointed bedrooms, three (3) bathrooms (washrooms) and a laundry room sprawled over 2,010 square feet of space with a detached store room as well as spacious front and back yard. 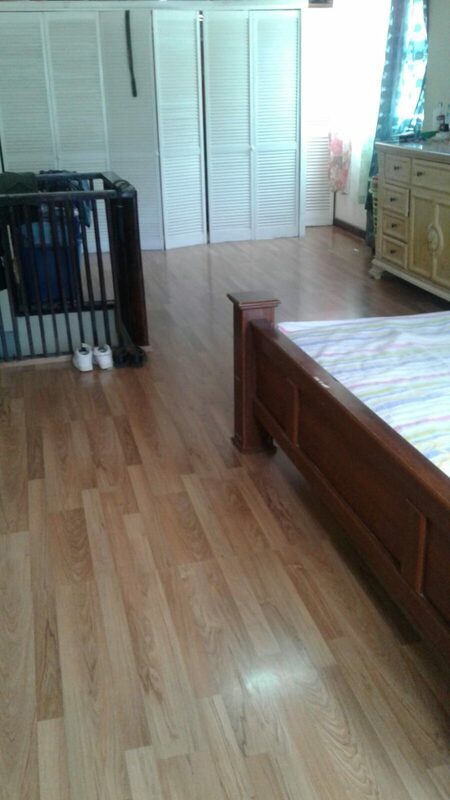 The master bedroom suite stands out on the top floor of the building. 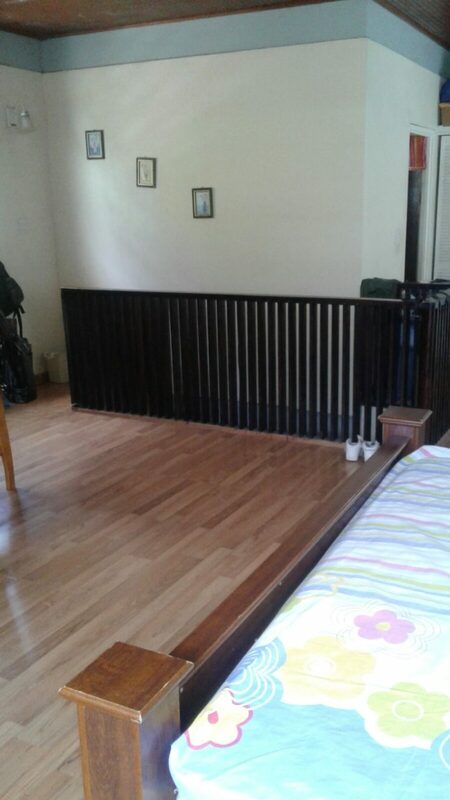 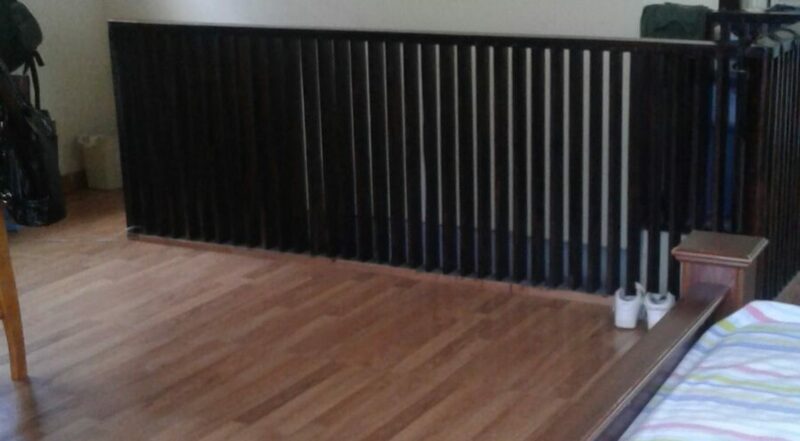 It is accessed by a wooden staircase from the ground floor and is beautifully laid out for ultimate comfort. 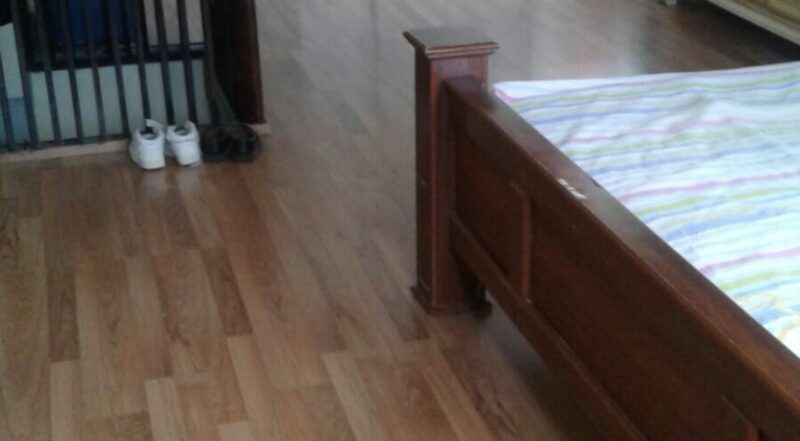 This space is generous and allows the current occupants to enjoy the convenience and style of a large bed, multiple closets, his and hers chest of drawers and dressing table with mirror among other furniture pieces. 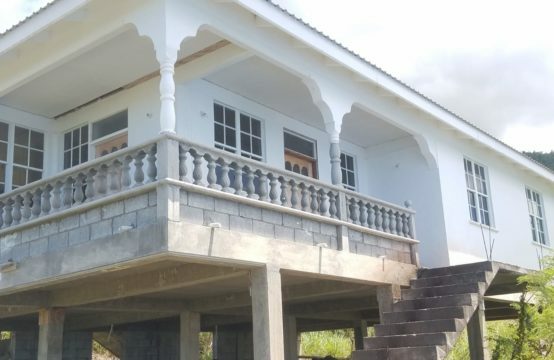 A spacious washroom as well as a porch, which faces a river, also serve the suite. 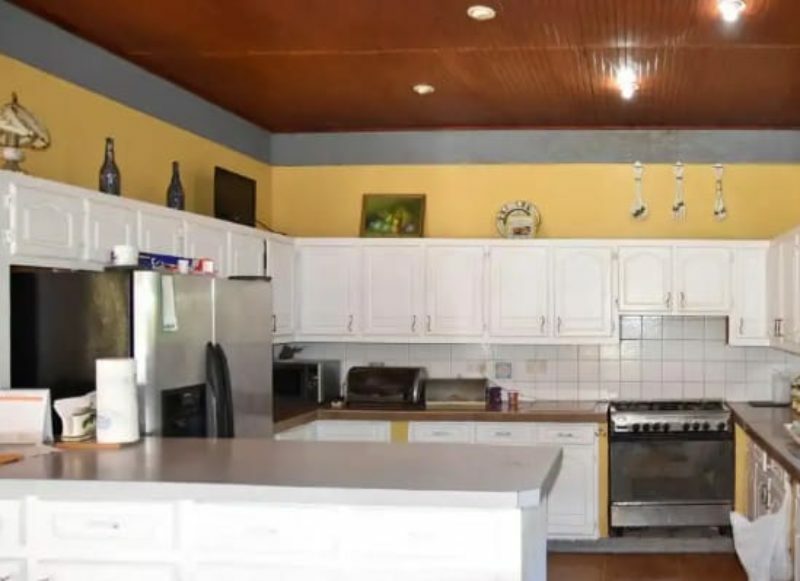 On the ground floor of the building contains three (3) bedrooms, two (2) bathrooms (washrooms), a spacious kitchen that provides excess cabinetry, roomy living room for family time together, large dining room area and laundry room. 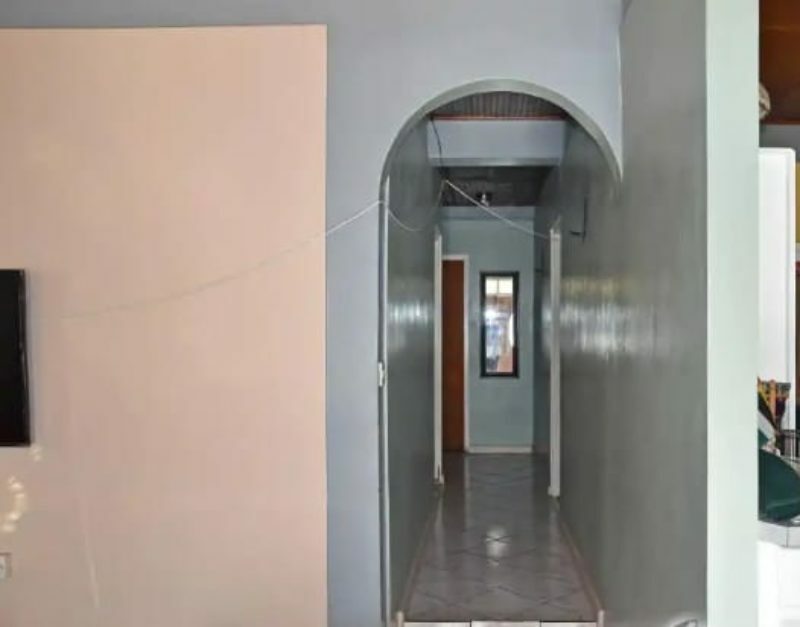 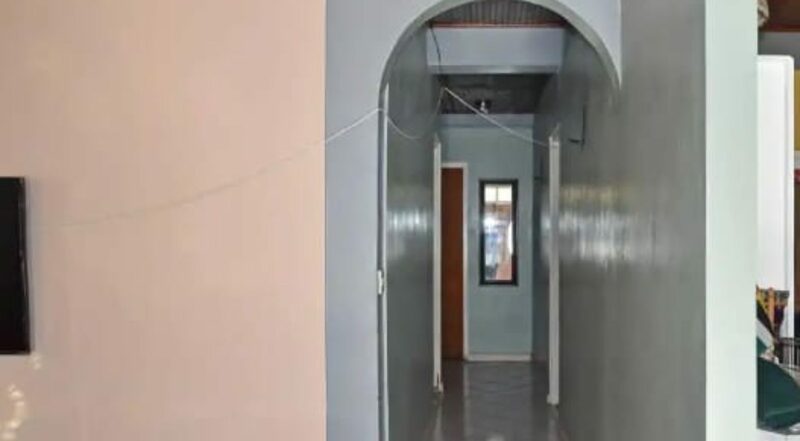 The current owners of this home are keeping it well maintained so it is in excellent condition therefore it is move-in ready with no need for any repair works or renovation. Windows were recently replaced and the roof was redone. 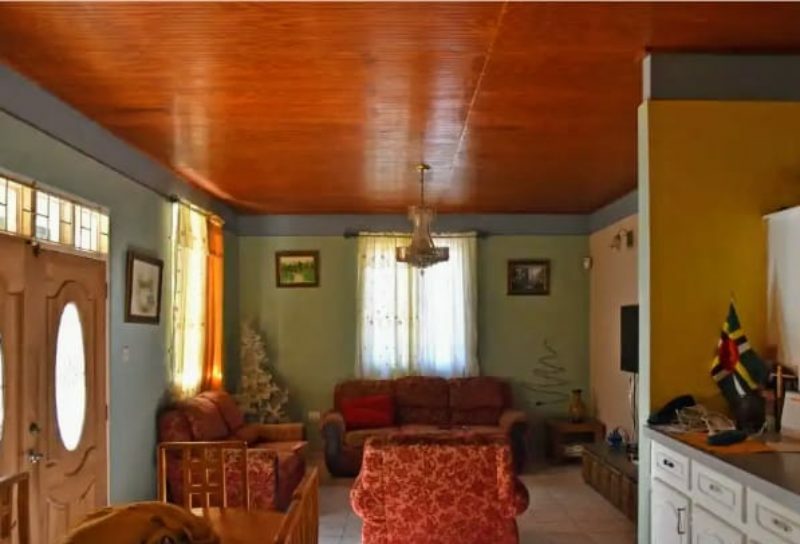 The home is peaceful in a pleasant and beautiful atmosphere. 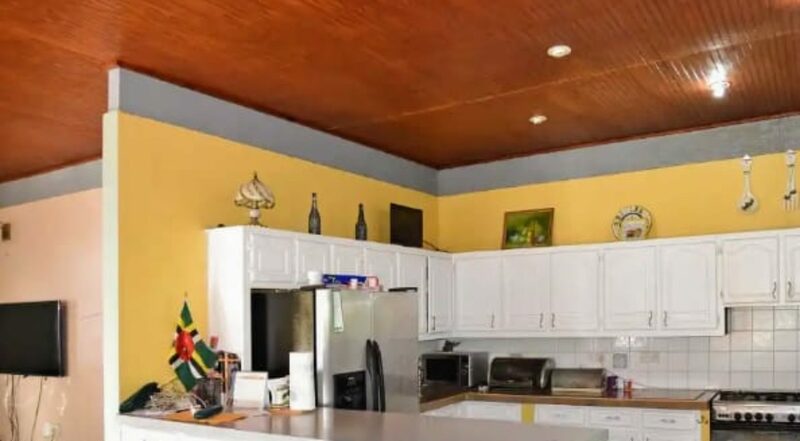 With a commanding view of nature, this home is indeed in a great location – one of the main tourist locations. 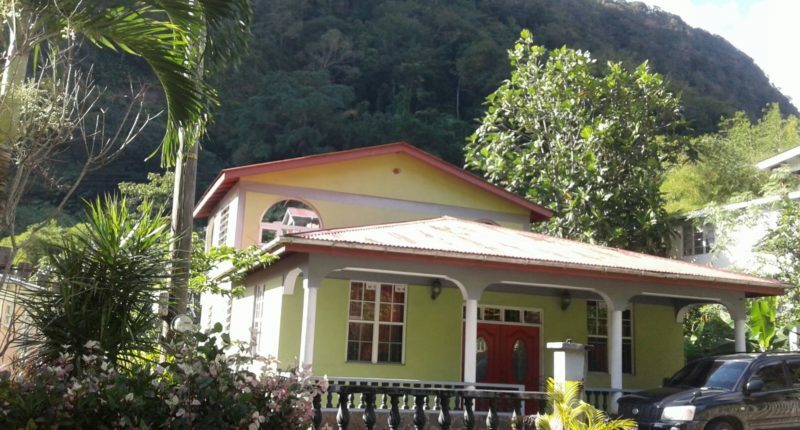 It is close to the city of Roseau yet it is minutes away from the Boiling Lake trail, Titou Gorge, the Fresh Water Lake, Trafalgar Falls, the Sulphur Hot Springs and Sulphur Pools. 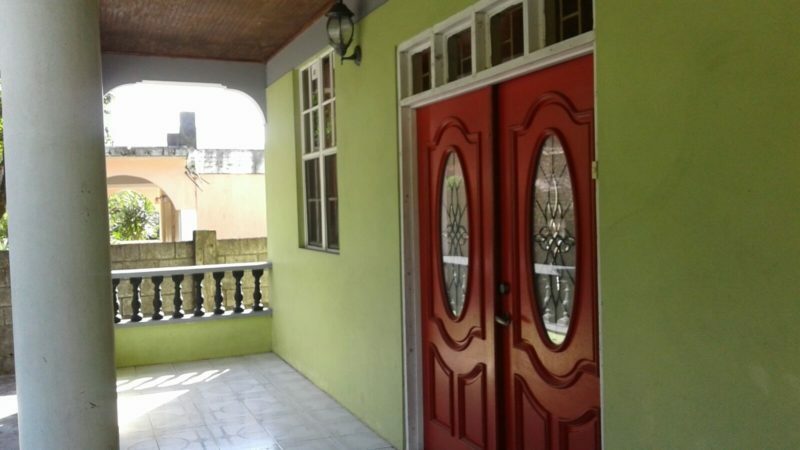 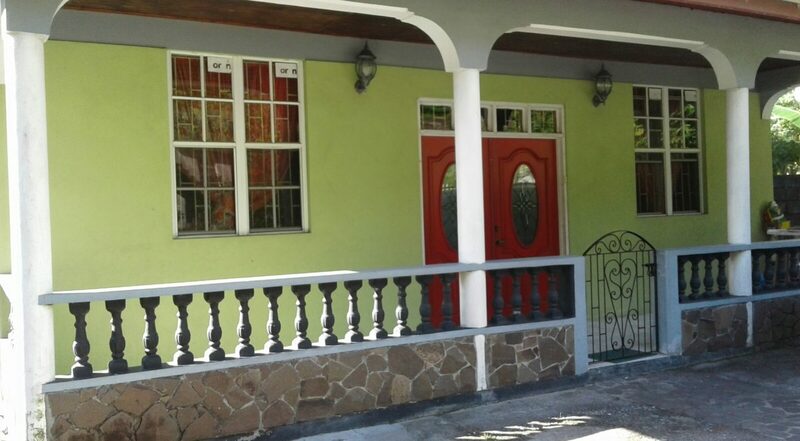 The home for sale in Copt Hall sits on 4,025 square feet of land, which is secured with a back wall, front balustrade fence and large front gate, with a fully paved yard. The front yard accommodates parking for three (3) vehicles. 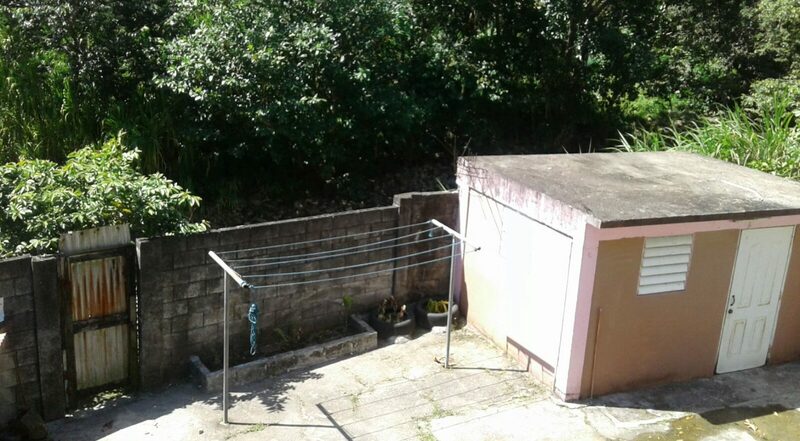 Toward the side of the home leads to the laundry room and storeroom. 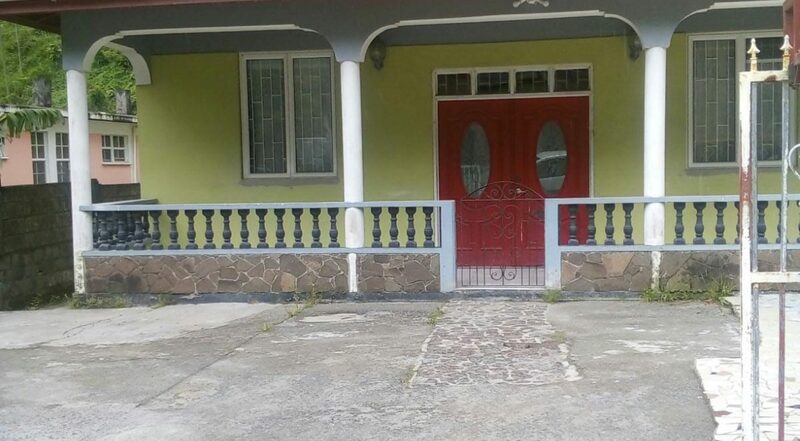 The ground floor has a lengthy front porch at the entrance. 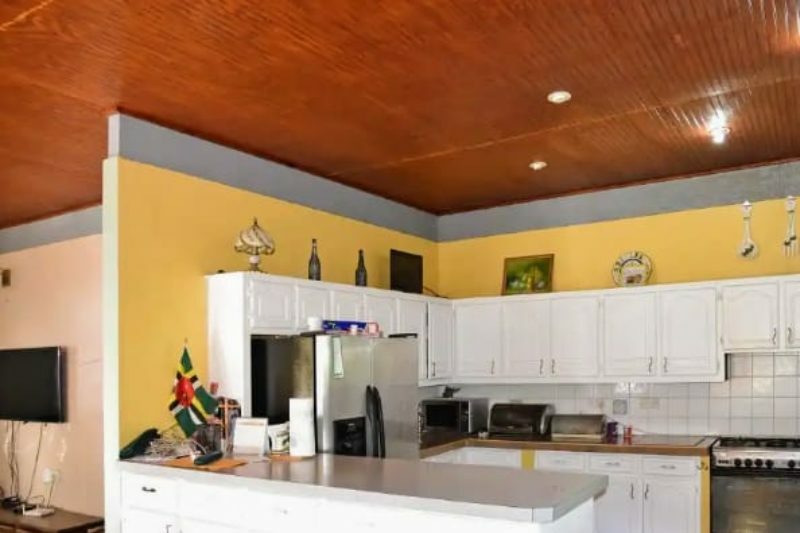 A beautiful home deserves a spacious yard to have family luncheons, parties and room for rest and relaxation and this is exactly what this property offers. 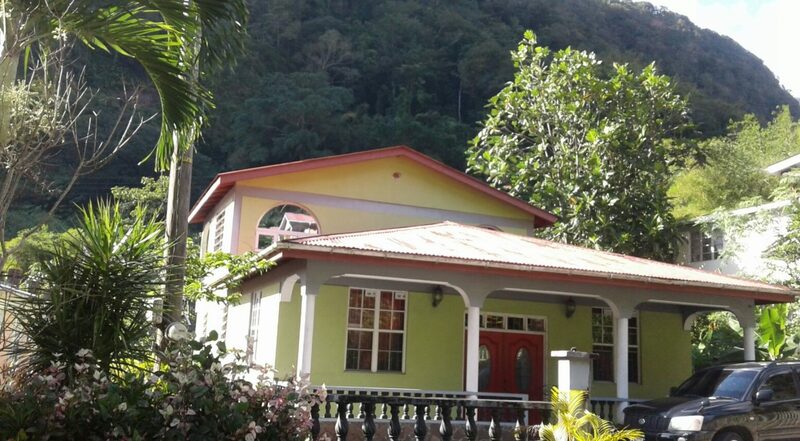 Copt Hall, Roseau Valley, Dominica is a peaceful and prestigious community less than 4 miles to the city of Roseau, about 5 minutes away. 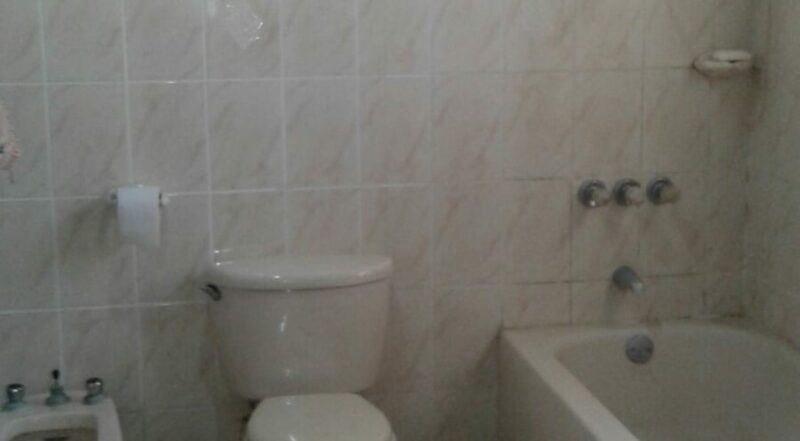 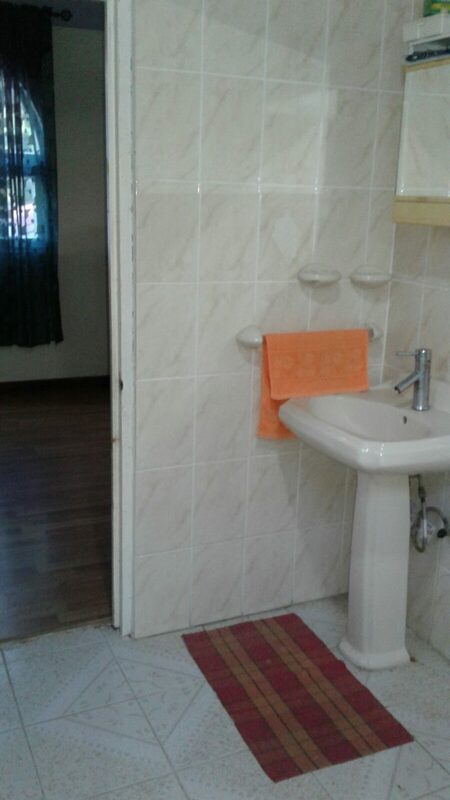 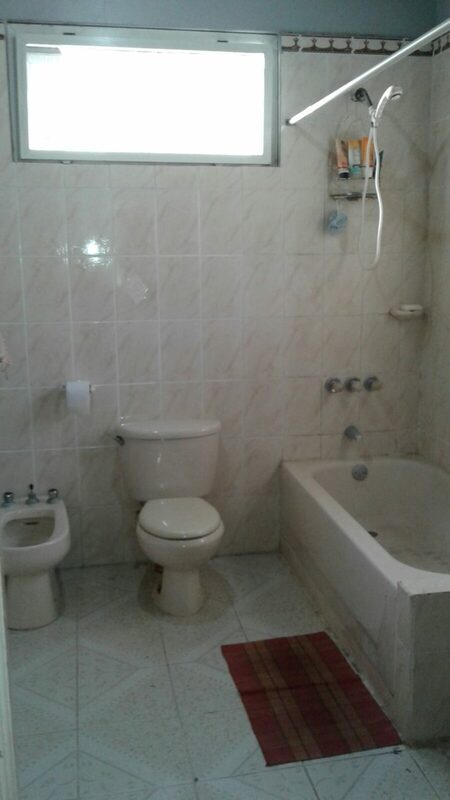 It is near to all social amenities such as bars and entertainment, schools, churches, hospital, police station and hotels. 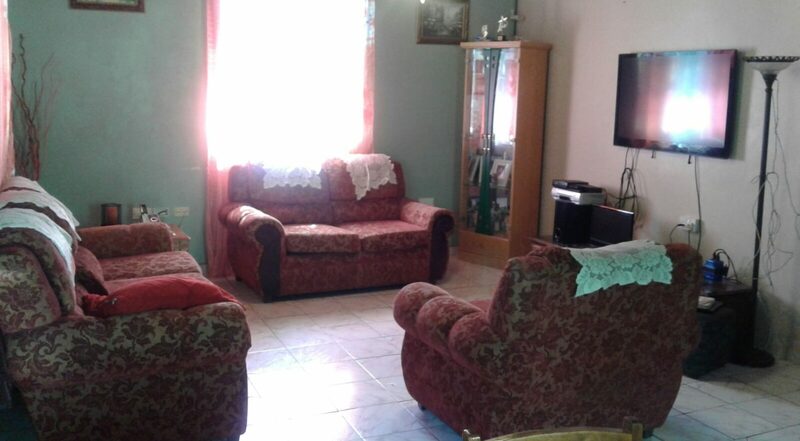 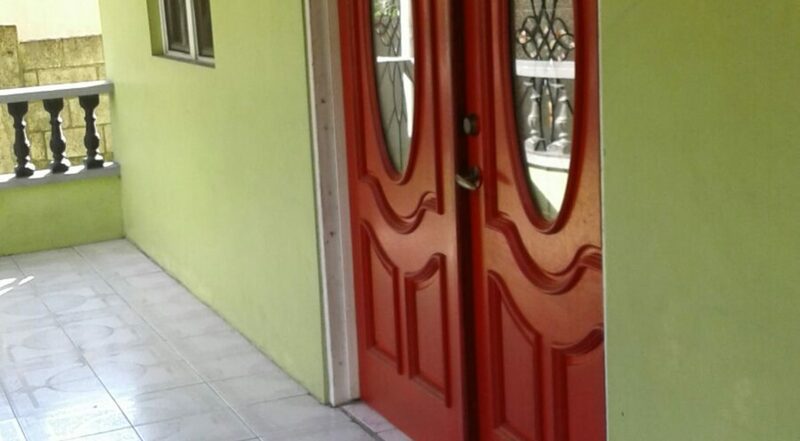 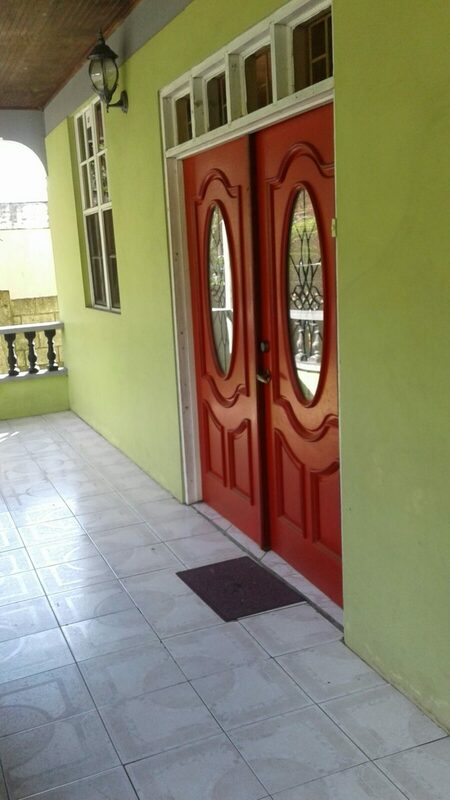 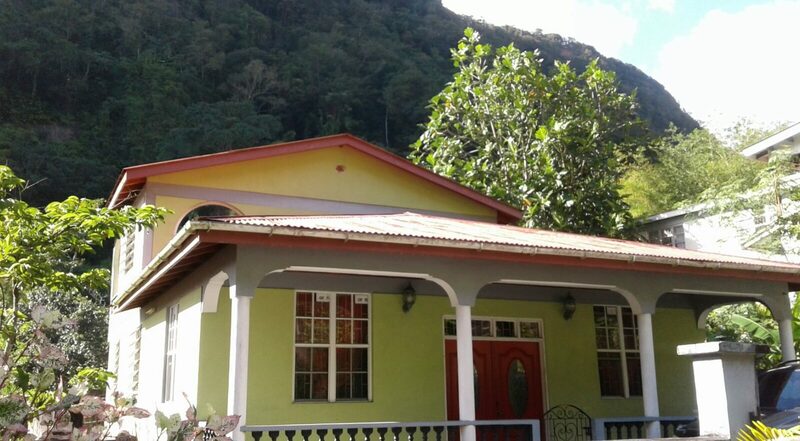 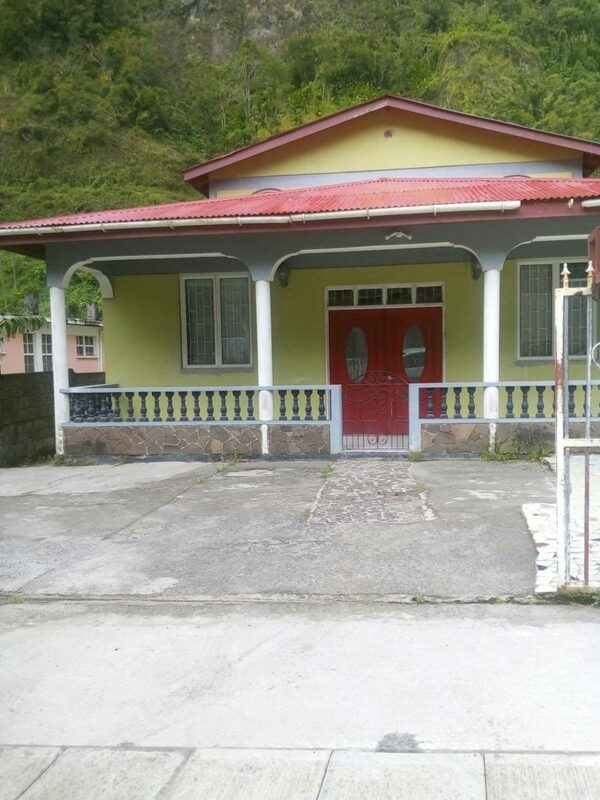 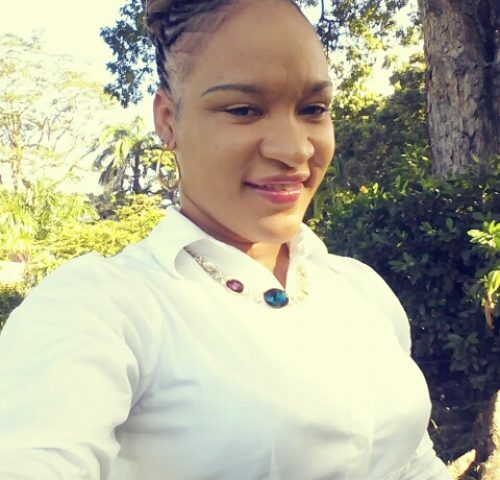 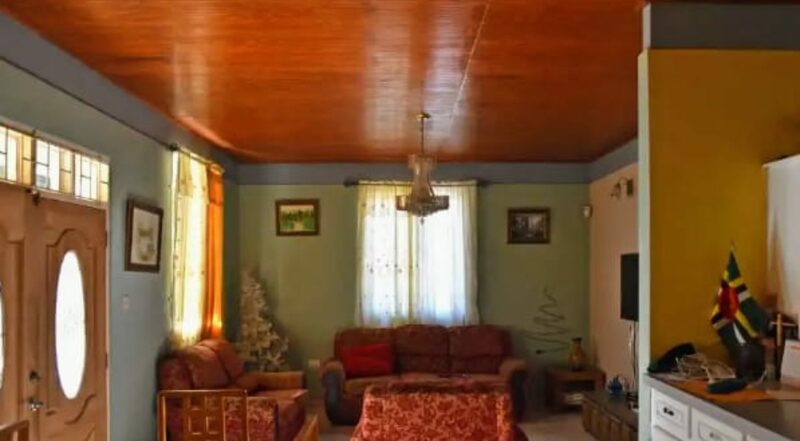 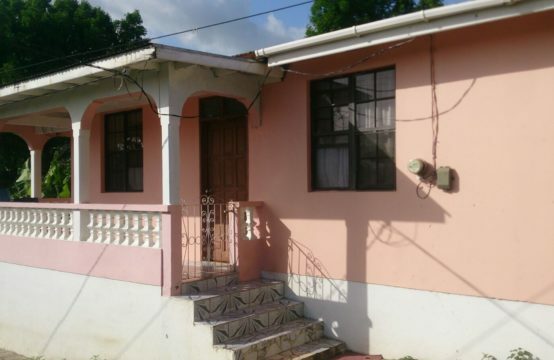 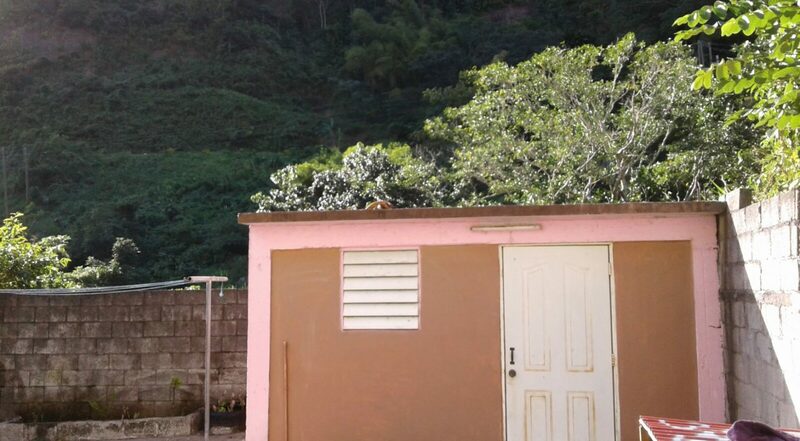 This home for sale in Copt Hall, Dominica comes at an unbeatable price of EC$495,000.00. 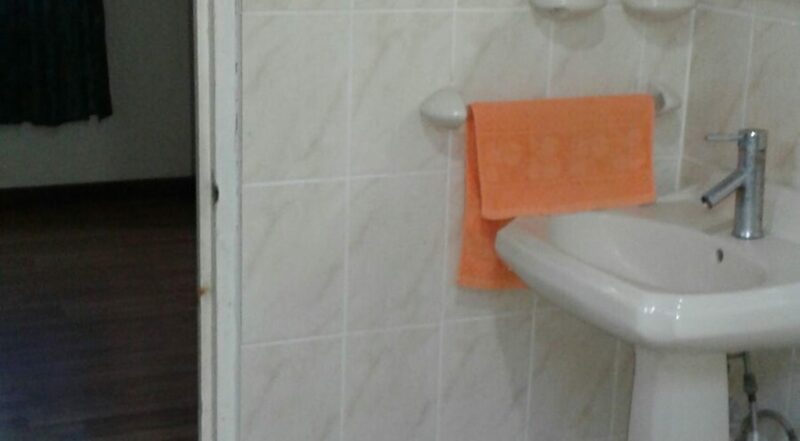 One of the best offers on the market right now. 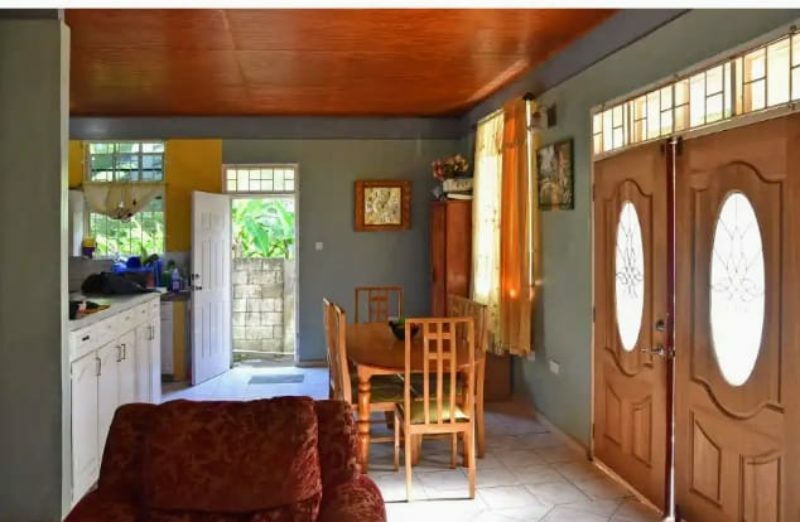 Contact us on (767)617-4191/440-7712 or use the contact form below if you are interested in making this home your own.